With the advancement in 3D printing technology, the RDM team began an engineering design venture in 2015, aimed at developing a fully 3D printed prosthetic leg concept for amputees in third-world countries. 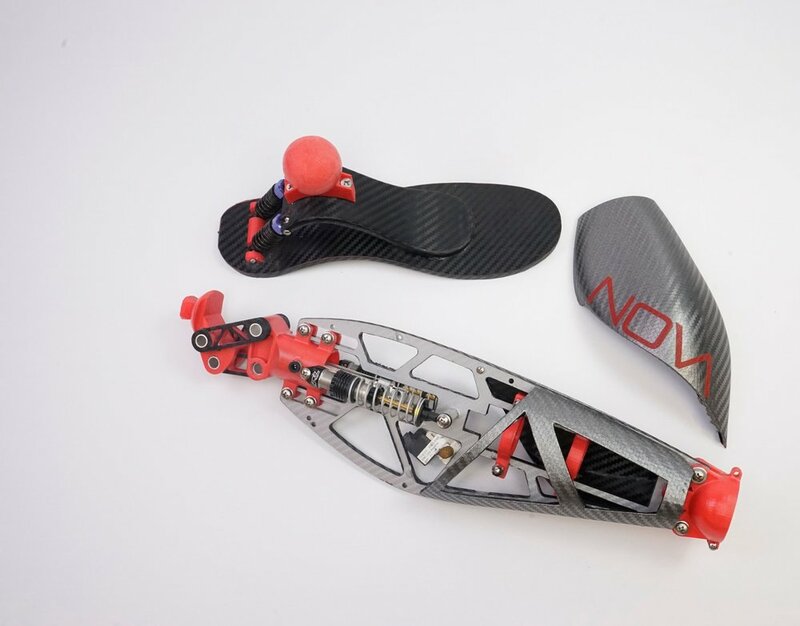 NOVAped is the result of this venture, winning a state and national engineering design competition for its innovative design and development of software for fitting and manufacturing the prosthetic using 3D scanning and printing technology. This novel design used various 3D printing techniques to create a solution that was not only cost effective but durable as well. Since the majority of the parts are 3D printed, treatment centers have the option of sizing essential parts to their patients throughout their lifetime at a fraction of the cost. With a focus on function and form, the prosthetic exterior was designed with aesthetic user appeal in mind. The covers snap on and can be customized to protect the internal components in a variety of conditions. To keep manufacturing costs low, standardized components were implemented throughout the product. These components can be swapped to accommodate changes in amputee’s weight, height, and gait over time. The knee motion is captured via a polycentric knee design adapted for 3D printing and features standard pneumatic actuation for adjustability. Shock absorbers lessen impact forces and allow for a high range of adjustability in different terrains. Elegant in design and reliable in form, this RDM proof-of-concept proved that evolving 3D printing technology could be combined with efficient engineering to create a cost-effective medical solution for those in third-world countries. The project’s advancements in the field of prosthetics gained attention from clinics that saw the benefits of a low-cost mobility solution.